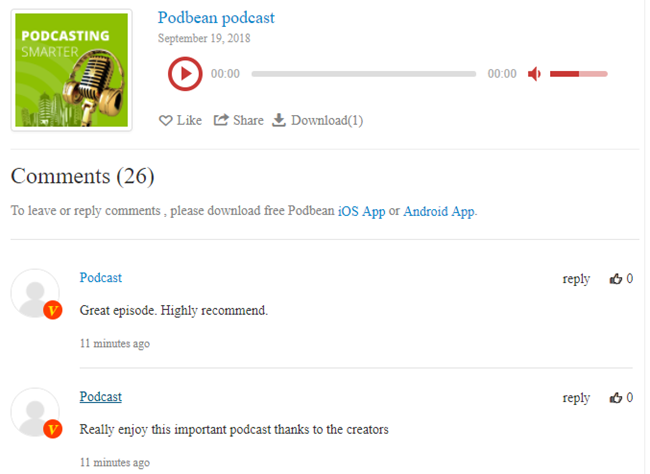 At Podbean, you can view the podcast comments received from listeners in the Podbean app on your podcast site. If you click on an episode, any comments you have will be listed there. You are also able to see recent comments on the home page of your Podbean dashboard. This gives you a quick view of the latest feedback from listeners. To reply, delete or block, you can manage comments in the Podbean app.